This is one of my extended family’s all time favorite treats. It’s called “Jo’s Caramen Corn” because my sister Jo makes it every year for our 4th of July get together. It’s also a good treat in the Fall, at Christmas time, and well…at any time! 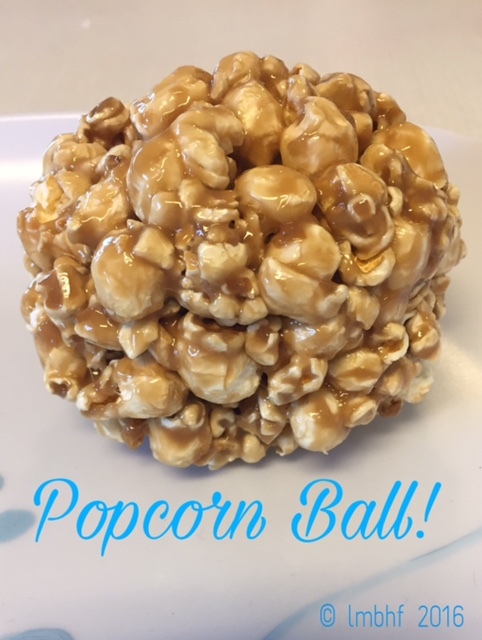 These popcorn balls are soft, sweet and delicious! You definately want to try them!! Pop Combine milk, sugar, butter and corn syrup in a sauce pan and bring to a boil over medipm heat, stirring constantly with a wooden spoon. Boil until mixture forms a soft ball (approximately 3 to 5 minutes). For best results use a candy thermometer. Pour over popped popcorn and stir until well coated. Allow to cool slightly and then form into balls.